Wilderness – empty, untamed land unaffected by humans – no longer exists anywhere on Earth. No spot, however remote it might seem, remains untouched by the hand of man. Although an increasingly obvious reality for some time, a recent study by Haddad et. 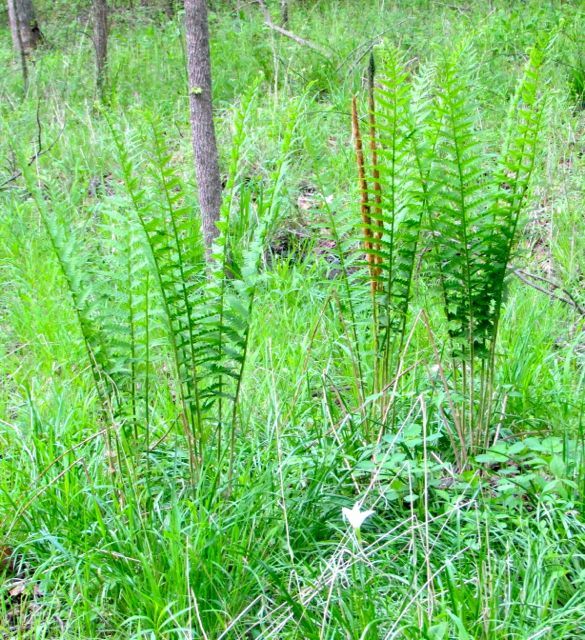 al at NC State University (Habit Fragmentation and its Lasting Impact on Earth’s Ecosystems) provides compelling evidence. Haddad and his colleagues looked at data for ecosystems all over the world. They found that 70% of existing forestlands are within a half mile of forest edges. Think about that. In most forests all over the world, you can stand in the middle of the tract and you’ll be only a half mile from its outer edge. When these researchers assembled a map of global forest cover, they found very few forested areas that were not impacted by human urbanization/farming/ranching/mining/roads – some kind of human development. Even more alarming, almost 20% of the world’s remaining forestlands are no more than the length of a football field – about 100 meters – from a forest edge. To my mind, such areas are not forests anymore; they are woodlots at best. The study’s conclusion: no wilderness remains. Trees are trees, right? Wrong, my friends. This is why we are in trouble. As I wrote here, the plant-blind humans among us far outnumber those of us who can distinguish native species from non-native invasive ones. We know green does not equate to healthy. 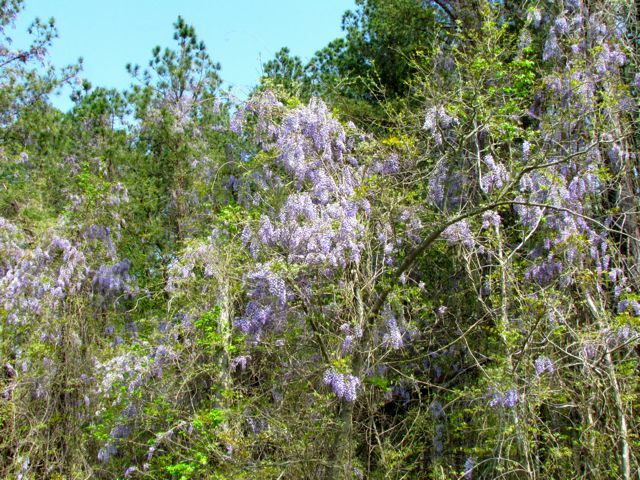 Non-native invasive wisteria vines choking a small woodlot beside a road near my house. The intricate interweaving of plants and animals, fungi and bacteria evolved over millennia. These complex interdependencies are not fully understood for all ecosystems, but this recent study provides some staggering results. They looked at ecosystem data from all over the world – everything from forests to grasslands – over time spans encompassing decades of collected data. Impacts varied with the fragility of the ecosystem being studied, but in a mere 20 years, some ecosystems showed a decline in plant and animal species of 50% – or higher! 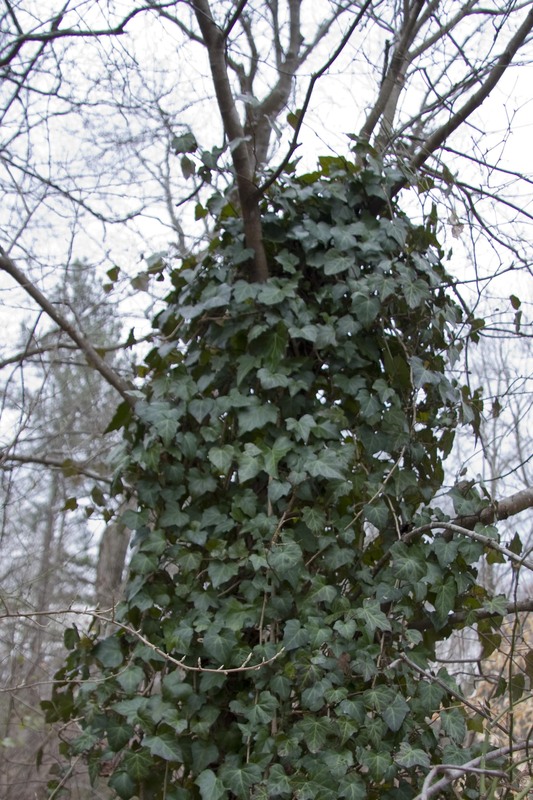 Non-native invasive English ivy overwhelms all natives in its path, destroying the diversity that flourished before its arrival. Think about that. In two measly decades, over half the native plant and animal components of ecosystems were gone. Many species require a minimum amount of land – unfragmented land – to maintain themselves. Now that these ecosystems have been chopped into tiny bits – ghosts of their former selves – the native flora and fauna cannot adapt. The interdependencies that evolved over millennia are being destroyed in 20 years. And the pace of destruction, the demise of species, is accelerating every hour of every day. Do you have children? Grandchildren? By the time they are adults, the natural world you have likely taken for granted all your life will be gone. Its transformation is already underway. So what? say the plant blind. We still have trees. We still have animals. We can still grow food, drink the water, live comfortably. Maybe you can, in some parts of the world – for now. But this study notes that as ecosystems fail, the critical functions they provide disappear. The amount of nutrients and carbon sequestered by ecosystems will change, likely resulting in imbalances we’ve never before experienced. Water quality and availability are adversely impacted as the species and the habitats they evolved in to filter and sequester that critical resource disappear. The demise of forests results in air quality degradation and temperature increases, which lead to higher energy costs for cooling and unexpected adverse effects on native species such as this. Can’t we just add in some other plants and animals from elsewhere to do the job? Substituting other non-native species won’t solve the problem. Those species evolved in different ecosystems. Plant and animal species are not interchangeable components that you can plug in when gaps appear. The functions fulfilled by this vibrantly healthy wetland cannot be duplicated with non-native species. On this Earth Day, 2015, we must all face this new reality. We must all act together to ameliorate the effects of our actions for the sake of our children, and for the sake of the planet. Every individual can participate in planetary repairs, ecosystem by ecosystem. Here in the southeastern United States, most of us live on land that was once forested. Plants and animals native to our area mostly evolved to live within forests. If you want to ensure the continuation of the southeastern forest and its native inhabitants (and therefore your water and air quality), consider taking these steps. If you are a homeowner with a yard, remove as many non-native invasive plant species from your property as you can. 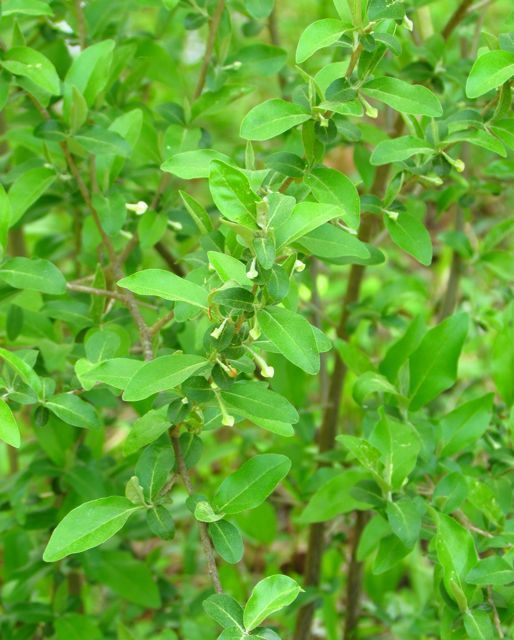 Don’t know a privet from a holly? That’s no excuse. Online resources with photos and advice abound. Search this blog for posts on our invasive species to get you pointed in the right direction. Learn to identify and eradicate this dangerous non-native invader: Elaeagnus umbellata, blooming now in our woodlands. 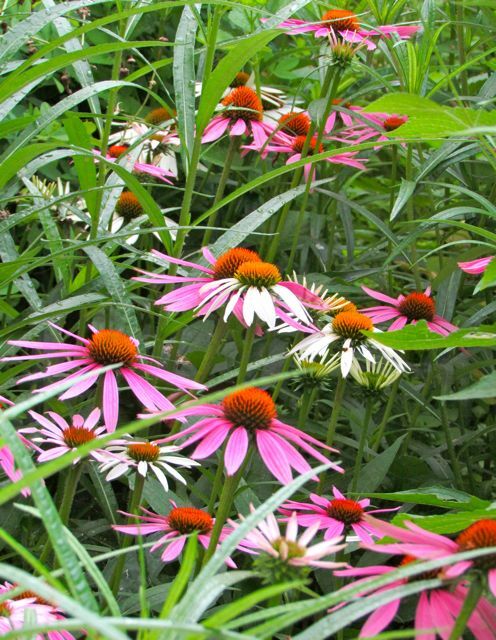 As you eliminate the non-native invasive species, replace them with native species adapted for your specific growing conditions. Resources are everywhere to help you with this, but you must decide to make this a priority. The goal here is to provide food and shelter for native animals and plants. Minimize the size of your lawn. Yes, I know this is suburban heresy, but as I wrote here, it is essential that everyone stop wasting space and resources on this non-native monocrop that occupies space needed by our native ecosystems and contributes significantly to the pollution of our streams. Forget what the real estate “experts” have told you. If you want your children to live in a world with clean air and water, lose the lawns. Now. So much lovelier than a lawn any day of the week. Work to ensure that neighborhoods are interconnected with greenways, so that native plants and animals have a safe migration path. These greenways can connect forest fragments together to provide more room for more natives to survive. Simply allocating green space and putting in a walking trail is not enough. 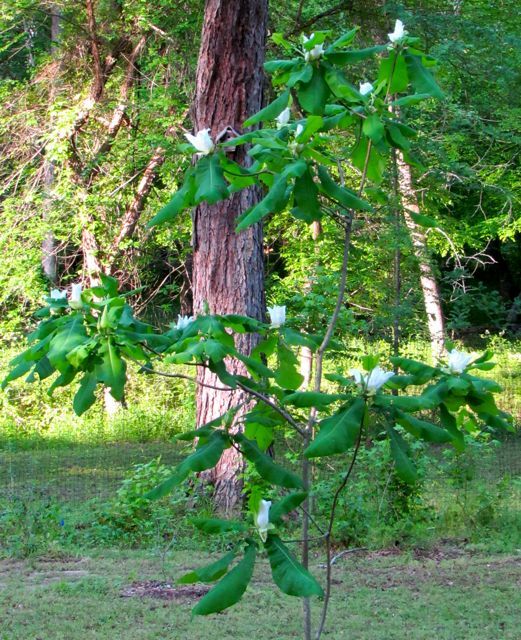 Most greenways are riddled with invasive exotic species. 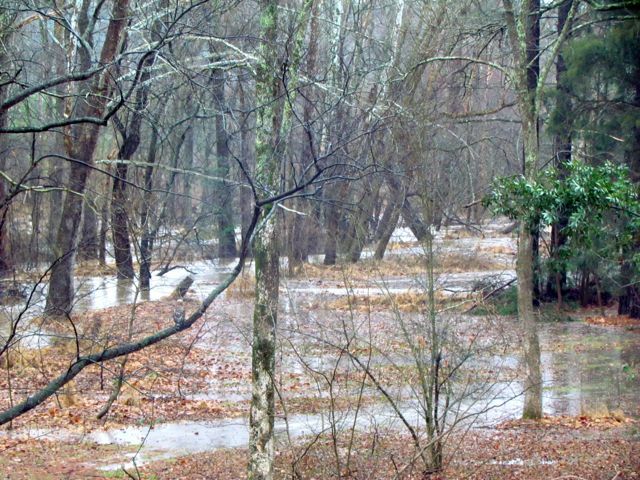 In my area, even so-called progressive towns like Chapel Hill and Carrboro, NC are overrun by invasive non-native species along their greenways, especially areas that follow creeks and ponds. If all neighborhoods would adopt an adjacent greenway and make it their mission to eradicate invaders and re-plant natives, healthy ecosystems could be restored to these areas. Get your local youth groups involved – Boy and Girl Scouts, church and school groups, etc. Imagine the beauty and vigor of such restored areas! I’ve seen it done at the NC Botanical Garden, where staff and volunteers have been chipping away for decades at contaminated forests they manage. Wildflowers return, waterways clear. You and your neighbors can do this for your adjacent woodlands. Learn the names of the native plants and animals on your property and on adjacent properties. Teach those names to your children and grandchildren. This is the only way to combat plant blindness. This is the only way to teach people how to distinguish a healthy ecosystem from a green desert devoid of natives and overrun by invaders. Recognize and rejoice in the natives when they appear. Do you live in an apartment, maybe in an urban area? You can still help. Are your local parks full of non-native plants? 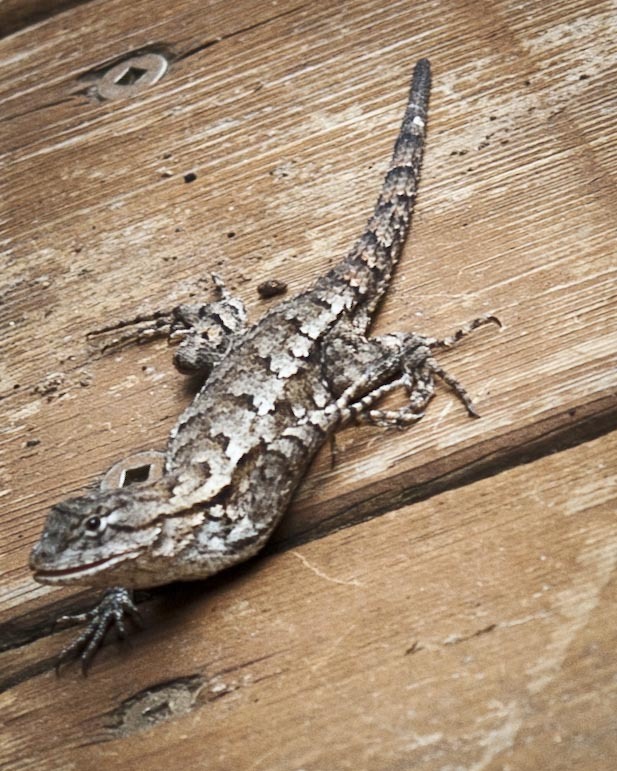 Can you volunteer to help park staff eradicate invasive species? Research and implement urban green-scaping. This process is well underway in Europe. Green walls and roofs provide havens for wildlife while cooling and cleaning the air and reducing rainwater runoff. Support the nonprofit organizations working to preserve and protect the ecosystems we still have. You can’t go wrong by supporting your local branch of The Nature Conservancy, but odds are high smaller, local conservation organizations are also working to preserve ecosystems in your area. Don’t forget groups like the National Audubon Society or other wildlife preservation non-profits. If you don’t have dollars to donate, volunteer your time. These groups always need help. Bring your children with you when you volunteer if they are old enough to help. Pitching in to save what is left must become a habit across generations if it is going to work. Everything I’ve written in this blog over the years applies to the issues I’ve described today. That’s why I garden mostly with well-adapted native plants (and a few choice non-natives with proven non-invasive tendencies). That’s why I garden organically, so that native insects, amphibians, reptiles, birds, etc. can live and flourish in my artfully constructed home ecosystem. That’s why I rejoice every time a new native animal or plant species shows up in my yard – right where it should be, validating that my efforts to rebuild healthy habitats are working. My yard is not Biltmore Gardens, nor would I want it to be. 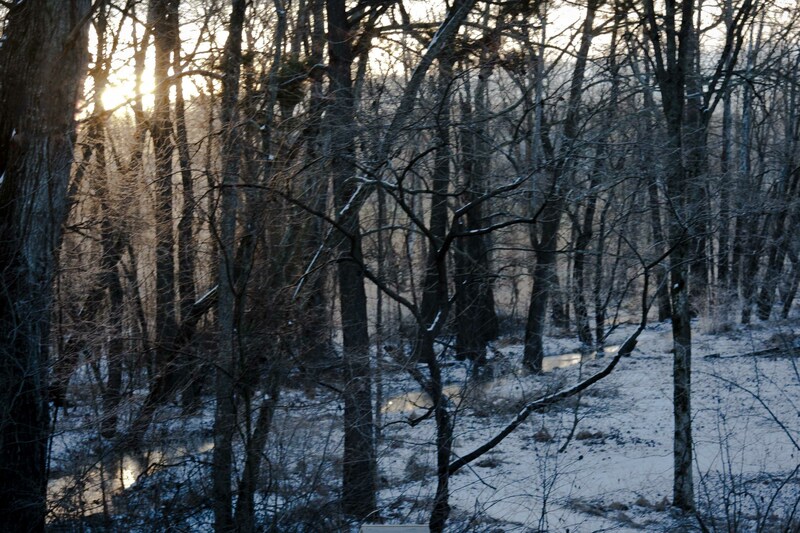 My five acres are beautiful, mildly chaotic, and perpetually changing. They vibrate with life and health, and I work most every day to keep them that way. You won’t see a scene like this in a typical American sterile suburb. We gardeners must lead the way to this new reality. 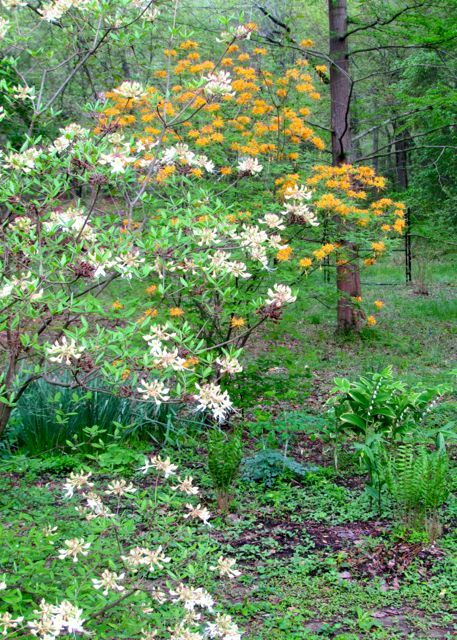 We must teach the plant-blind to see beyond green to the beauty and power of a Water Oak, the painterly colors of deciduous azaleas, the pollinator allure and purple pizzazz of Coneflowers. By choosing to nurture these natives in our gardens, we demonstrate daily why we love and value our healthy home ecosystems, and why we must preserve them for the sake of those who come after us. I know we can do this in our yards, greenways, woodlots, urban parks, and even the edges of soccer fields. Join me in preserving what is left of our native ecosystems for yourselves, your children, and our planet. This entry was posted on April 22, 2015, 5:00 am and is filed under Conservation Corner, piedmont gardening. You can follow any responses to this entry through RSS 2.0. You can skip to the end and leave a response. Pinging is currently not allowed. Thanks, Sue. Happy Earth Day to you and yours. On Earth Day, especially, I want to thank you for using your gifts to write this blog to educate and inspire people to care for the natural world. I’m also proud to share that Dr. Nick Haddad joined the TNC NC Chapter Board of Trustees last fall. We’re grateful to have Nick on our board, and to have donors like you who share our commitment to conservation. As always, thank you for supporting The Nature Conservancy. I’m always amazed that people will admit to not wanting to know what’s going on around us. I want to know so that I can respond! I may only have 1/6th of an acre, but it’s big enough for a tree canopy, understory, shrub layer, and ground layer. Just my small part of the puzzle. Not pristine wilderness, but more alive than a lawn.